Many of us are now aware of the numerous community funding websites out there, none more so than Kickstarter. Here are some of my personal favourites from the past 2 years. Are you having trouble sleeping at night? Working on your website too late or uploading content to your web hosting? A recent KS (Kickstarter) project which closed in May brought along an idea that would enhance something everyone experiences but no-one controls, lucid dreaming. Bitbanger Labs out of New York created an eye mask concept that would increase the probability of lucid dreaming, by detecting REM during deep sleep. As we all know REM is a byproduct of the way our brain operates during sleep, contrary to belief we actually sleep in waves of deepness which in turn induces lucid dreaming which provoked. 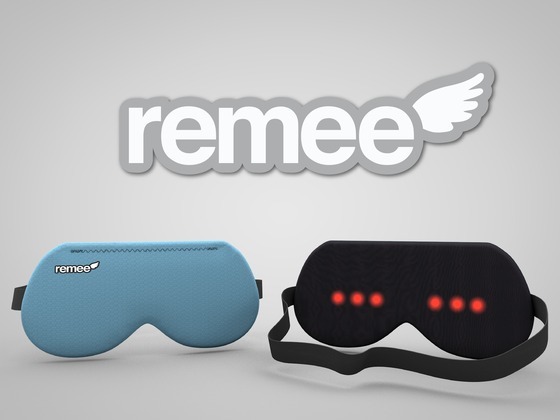 Adding to the tantalising prospect of maximising your dreamscape, the Remee is also customisable. The developers state that it can be ghetto-modded (‘modified’ for all you Generation X’s) for lucid siesta-style naps. Sweet. Ever feel like you’re constantly running low on time? Well slow things down in a colourful way. This idea also comes out of the somewhat creative Brooklyn area of New York. The Present is an annual clock, so yes; it will take a full 365 days for that small needle to work itself around the twelve inch diameter clock face. That said, it’s quite a colourful face encompassing many colours of the spectrum, each quadrant symbolises the northern seasons, simple huh? “How long will The Present last? Our calculations tell us that The Present will run with the included battery for no less than 4 years. With the potential to run for over 12 years. How do you set The Present? The Present will be pre-set for you before delivery. There will also be access to the movement for any changes in the distant, distant future. What is The Present made of? The clock face is printed on metal, which is encased by a bevelled glass front that is set into a metal back plate. The hand is laser cut clear acrylic. 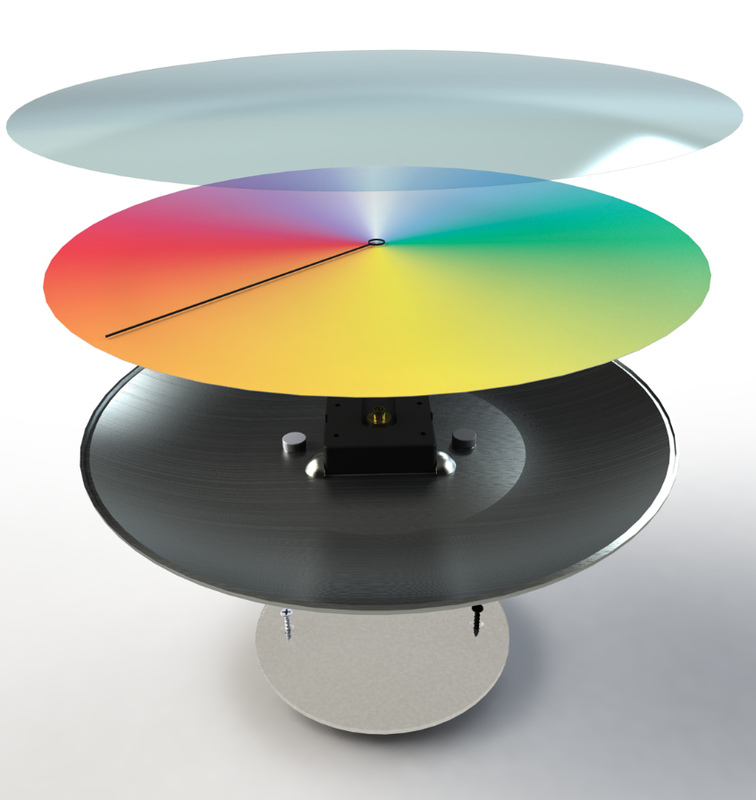 The movement is a modified version of a standard quartz clock. How does the hand move so slowly? In a place like Australia where beaches are abundant this concept might not garner much traction, however in terms of ‘green’ thinking it is definitely is not an afterthought. 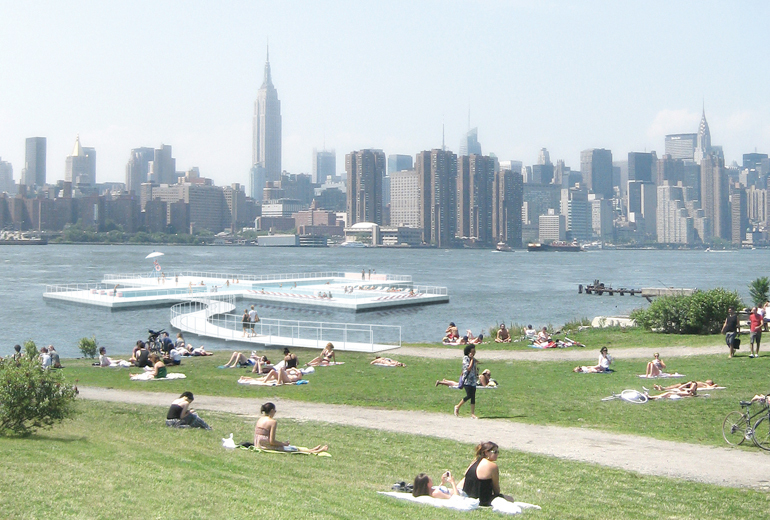 +Pool is an initiative that plans to create an artificial lap pool in the bay of New York. Audacious and smart. +Pool was launched in June 2010 and is currently in the early testing and evaluation stage, with filtration tests on-going as of late 2011. 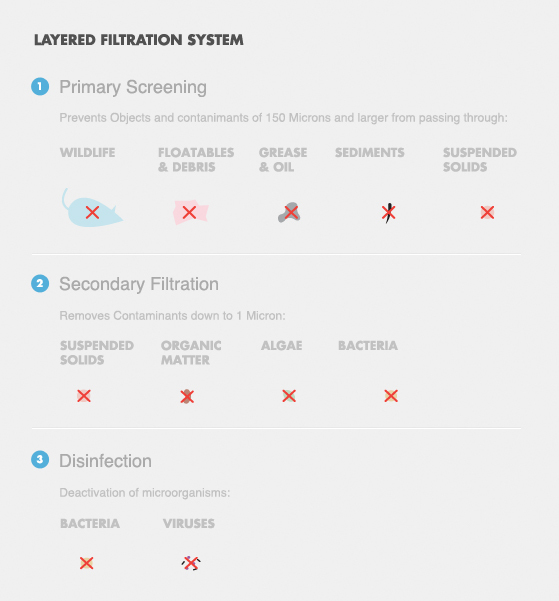 The +Pool the first of its kind in the entire world and the quality of the filtration means it will city, state and federal laws according to the KS website. Additionally the +Pool is actually designed to be four pools in one; Children’s pool, sports pool, lap pool and lounge pool. When combined the four sections join up to create an Olympic sized swimming pool +more. Living in Sydney has its many quirks and complexes. My short drive to work in Surry Hills means I’ll inevitably come across some cyclists on the way, and the growing number of people riding to work means we’re slowly starting to learn how to share the road properly. Although after my visit to the Netherlands in 2010 I quickly learnt how unforgiving Australian roads can be in comparison to the cycling mecca of the world. 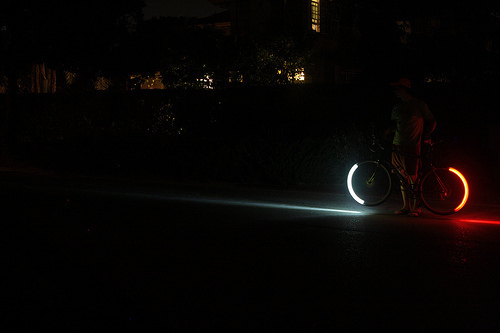 The Revolights concept was developed by a group of guys in the tech rich area of Palo Alto, California. It is intended to replace the forward facing white light and rearward facing flashing red light that are commonly attached to most bikes. In essence they are headlights and taillights for cycles, without the bulbs. It actually makes use of an intelligent piece of design by attaching the lights using diodes to a thin round tube, which is then attached to the hub of the wheel. Once the wheel begins to rotate the lights then take up their instinctual position of facing forwards for the white light and rearward for the red light using a clever timing system. The two most frequent causes for the 52,000 reported bicycle accidents (in the US) are collisions with motor vehicles (58%) and individual falls (30%). Of the 716 reported fatalities, 69% occurred in urban areas and 39% were between the hours of 5 p.m. and midnight. Nearly 70% of all night-time Bicycle-Car collisions are due to inadequate side visibility. I’ve probably left the best until last. Probably because it’s Australian, probably because it makes enjoying a crisp beer that little bit more special. Rob Ward & Chris Peters from Melbourne was obviously tired of searching for a bottle opener whenever they felt like cracking open a cider or European beer, enter the Opena. Opena is such a simple concept that was executed so brilliantly that I have already come across two people who were original investors through Kickstarter, the only issue for them now is they are now endlessly relied upon for their iPhone’s beer opening abilities. “1) The case had to be as slim as possible, no one likes a fat phone in their pocket. 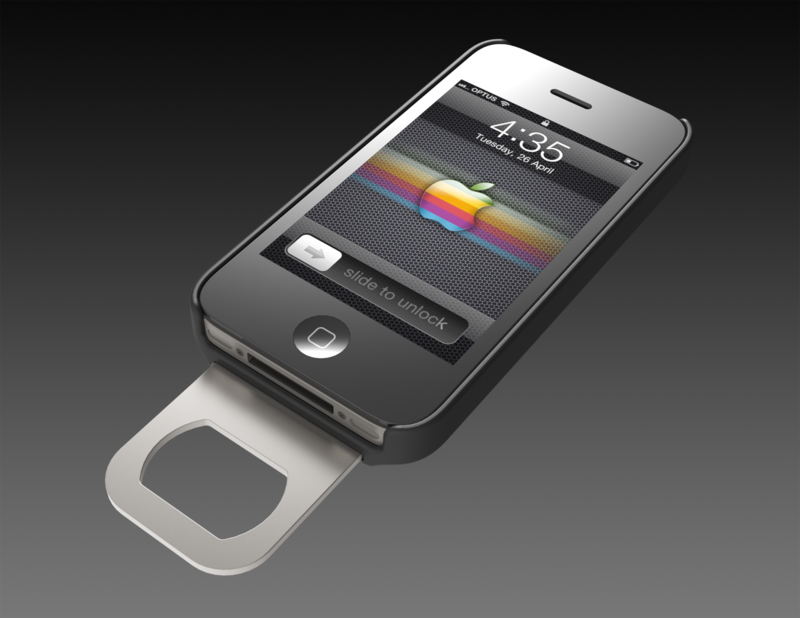 2) The case had to protect iPhone and there had to be no chance of the bottle opener scratching the iPhone. I personally think these Melbournians have got the brew just right, and at only $39.95 it’s a only couple shades above what some people pay for a standard iPhone cover. It’s just a shame I use Android.